 Preferred Sales Inc. is a premier manufacturers’ representative agency serving the plumbing, hydronics and HVAC industries in Ohio, West Virginia, Western Pennsylvania and Kentucky for more than 65 years. Our executive staff has decades of combined industry experience with a core philosophy centered around our future growth and the succession of Preferred Sales. Our team members create solutions for our customers and manufacturers while striving to exceed our combined goals. We promote integrity, professionalism, accountability, and collaboration among team members to rapidly recognize and adapt within the changing needs of a global marketplace. We lead the manufacturers’ representative industry through professionalism, marketing, sales acumen, product knowledge, market insight, networking, and an enthusiasm to enhance our stakeholders’ experience with our firm.